Happy to present you one of our latest projects. SALUS social network is dedicated to improving human and planetary health by design. The idea behind the network is engaging in many ways. SALUS stands for science, architecture, lifestyle, urbanism, and sustainability. The goal of the organization is to create and share knowledge related to the relationship between human health and the natural and social environment. SALUS is a knowledge community. Once you sign up, you create a personal account where you share your professional experience, interests, and skills with other members of the community. As a member, you get to join groups, organizations and participate in the discussions. There’s also a section dedicated to projects and publications. If you have an organization or if you are a member of one, you can create an organization profile and help people connect with you, partner or collaborate. One of the goals of the organization is to build a knowledge hub. 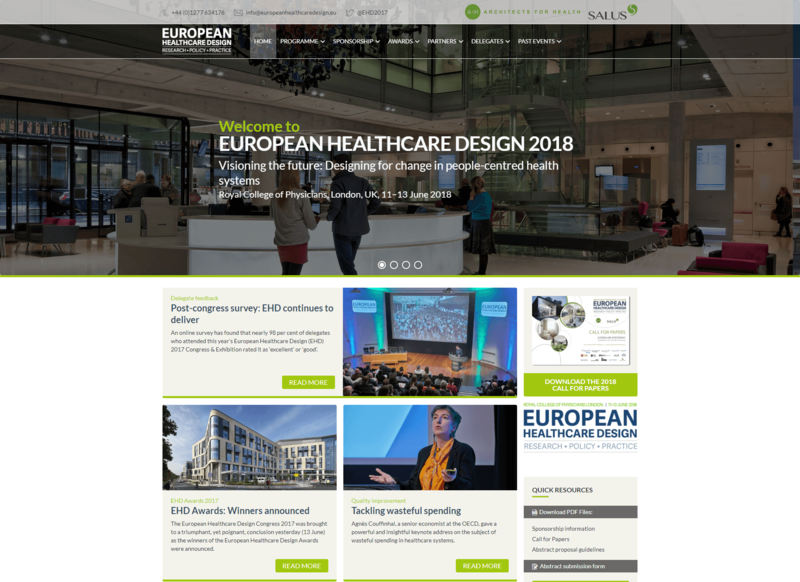 The members of the community can browse articles and videos to stay up to date with the latest news on how to design for the healthier society and sustainable planet. The library contains research papers, scientific posters, the latest market reports and innovation, and technology showcase. Videos and podcasts from conference talks and opinions and dialogues from experts, policymakers, and practitioners are featured in the library. To leave a comment, sign up and join a community. As a niche social network, SALUS is bringing together industry specialists and enthusiasts to share their work and connect. Each member of the community or the organization can present the project in details. To search the projects, members can choose different criteria and search by project title, organization name, industry sector, start, and competition date, size, and cost. SALUS events are designed to provide an opportunity for the community to grow and people to connect. The event section is where all relevant industry gatherings, networking opportunities, conferences, seminars, and exhibitions are posted. Think of the event section as a separate dedicated website. Organizing and promoting any event takes more than just info about the venue. Once you add an event, you get a dedicated place to market and promote it, to organize the list of speakers and to present the participants, and to disseminate and gather all the data you need. 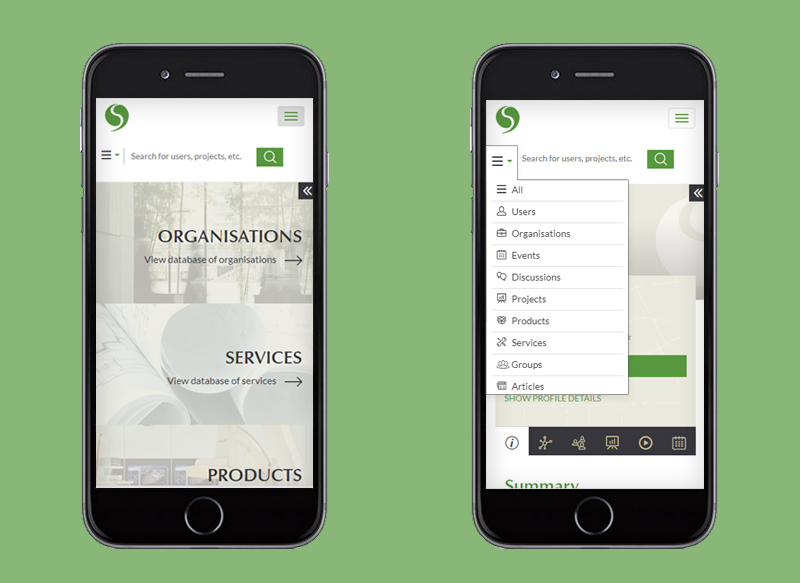 SALUS gives you an opportunity to browse databases of products (technology, innovations, and solutions), organizations, and services. To make the search as convenient as possible, you can search by industry, location, and category. The browsing experience is intuitive as all content featured on the social network is linked to either a person, organization or with the event. 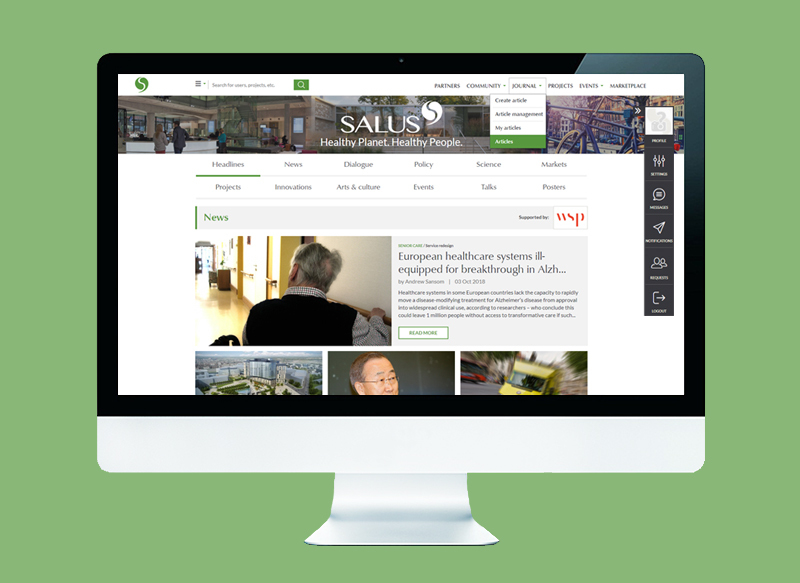 To find out more about designing a healthier society and sustainable planet, sign up to join SALUS social network. Find out why we use Symfony PHP framework for social network development.